Produce hundreds of patterns at a fraction of the cost and time of traditional wax pattern production. 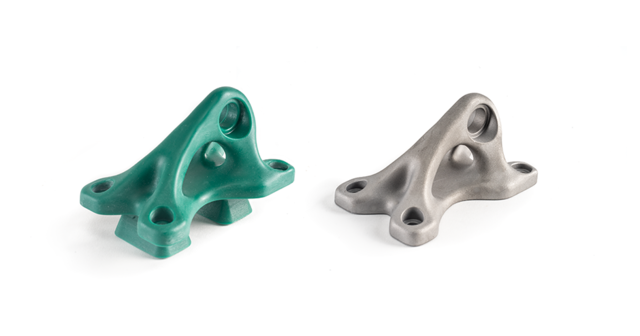 Delivering design freedom, quality and repeatability, RealWax patterns drop seamlessly into existing foundry investment casting processes. Ideal for customized metal components, bridge manufacturing and low volume production, the ProJet MJP 2500 IC produces 100% wax casting patterns in hours. 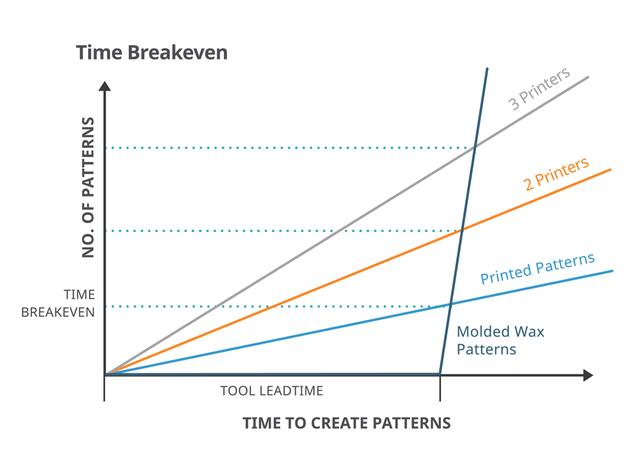 Save weeks on wax pattern production with tool-less RealWax MultiJet Printing and accelerate time-to-market. 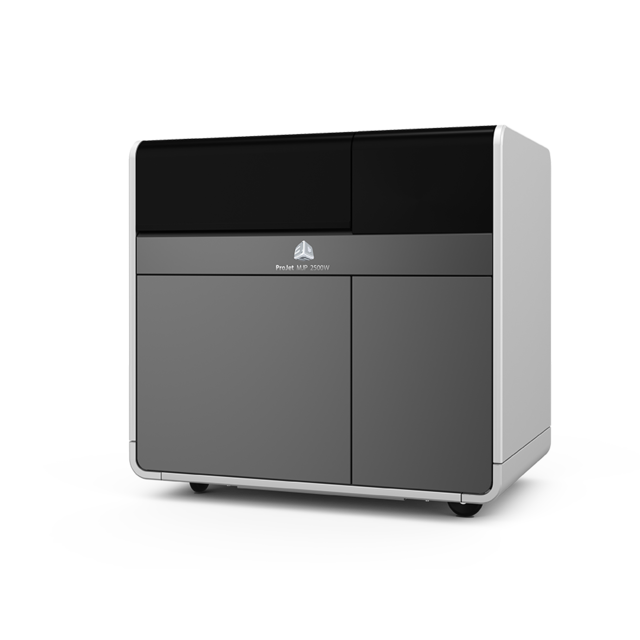 The ProJet MJP 2500 IC enables a digital workflow with direct wax pattern printing, increasing productivity and enabling fast time-to-part for premium service delivery to customers. With fast wax pattern production, short cycle times capability and 24/7 operation, you can rely on the ProJet MJP 2500 IC output and improved casting room efficiency. Have hundreds of your small to medium-size patterns in hand more quickly and less expensively compared to the time and cost to build and run a traditional injection tool. If design changes are needed, the benefits just compound. The ProJet MJP 2500 IC leverages existing investment casting processes and equipment. 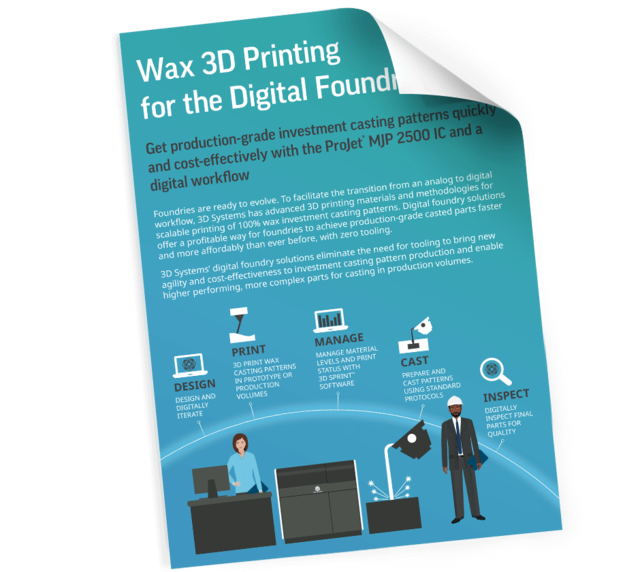 Expect fast amortization and high returns on investment with this unique industrial wax pattern 3D printing solution. Discover the speed and cost-effectiveness of achieving investment casting patterns without tooling. 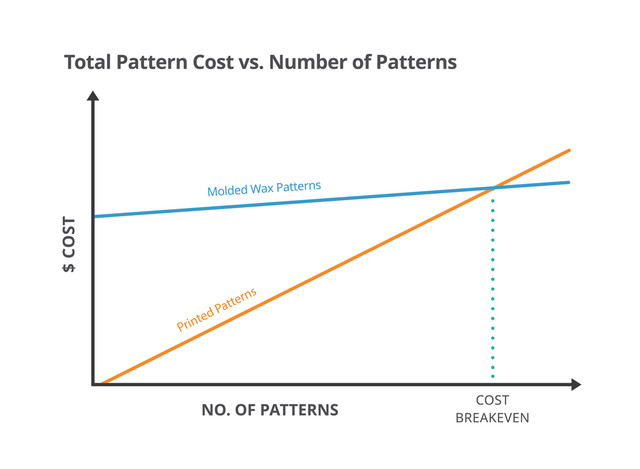 With digital design, you can produce wax patterns for parts that take advantage of topology optimization, lightweighting, and part consolidation. 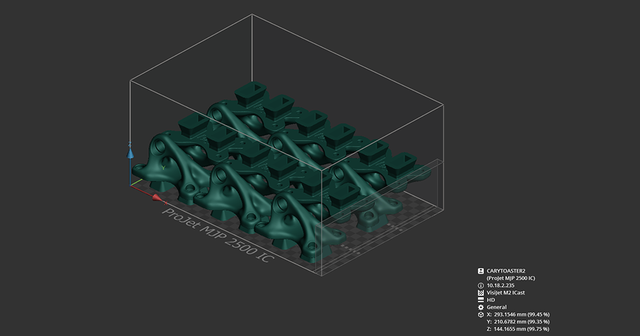 The ProJet MJP 2500 IC frees you to produce multiples of a complex part geometry or simultaneously make design variants, all while delivering better performing, more cost-effective components in a fraction of the time of traditional alternatives. VisiJet M2 ICast 100% wax material emulates the melt and burn-out characteristics of standard casting waxes. 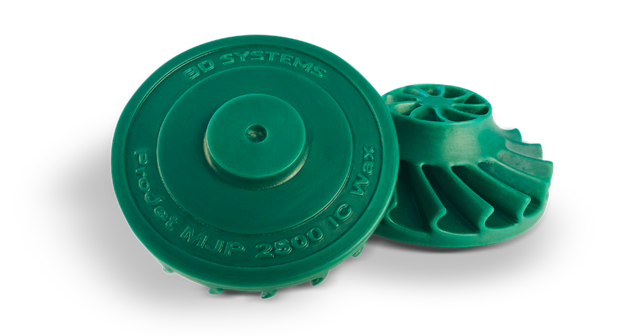 This RealWax 3D printing material drops seamlessly into existing wax casting processes. MultiJet Printed patterns hold tight tolerances, ideal for complex precision metal components manufacturing with reduced or no finishing work. Streamline your file-to-pattern workflow with the advanced 3D Sprint® software capabilities for preparing and managing the additive manufacturing process, unattended high-speed printing and a defined and controlled post-process methodology. MultiJet Printing ease-of-use and dependable process ensure reliable performance, yield and results. MultiJet Printing provides more flexibility and versatility to develop your business with an efficient solution for wax patterns production. Create, iterate, produce and refine as required with just-in-time pattern production.